New , nos, Avionics Professional Logbook. It measures 8 3/4" by 5 3/4" and it has 65 pages. The first 12 pages are for recording Avionics maintenance. Pages 13 thru 32 are dedicated for VOR checks. Pages 33 thru 38 are used for Transponder check. Pages 39 thru 44 are for ELT check. Pages 45 thru 50 are used for Altimeter and Static check. Pages 51 thru 56 are used for FAA AD compliance record and pages 57 thru 64 are used for factory Service Bulletins compliance record. 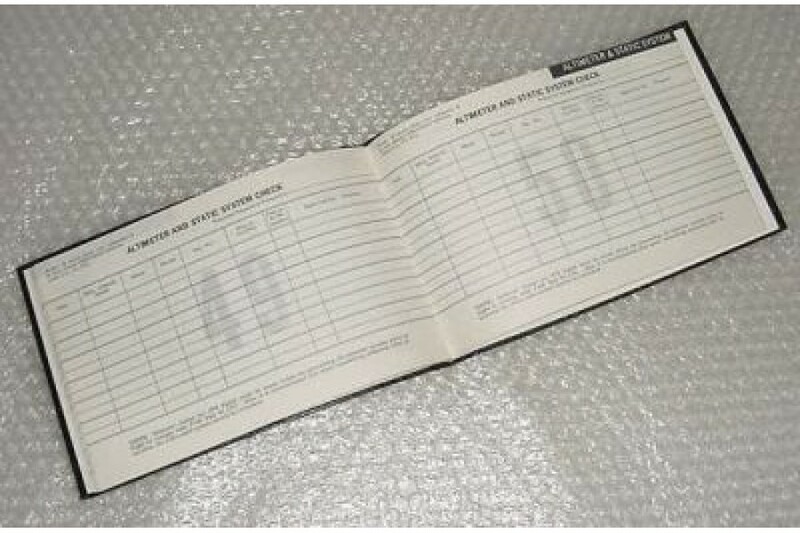 It is an older version (1974) logbook printed by Aviation Maintenance Foundation, Inc. Logbook shows wear but is unused.